Folk musicians are a dime a dozen. That statement in mind we turn our attention to Sukh, not only a folk musician but a man who simply creates music motivated by the stories of others and his own personal experiences. Located in the UK, Sukh is making a name the world over because of his approach to music and his wealth of videos featured on his YouTube profile. From prominent covers of songs such as Wild Horses by The Rolling Stones, he also features raw filmed renditions of his own original material. While he does these types of videos, most notable is the diverse of genres featured in his music. Elements of folk, blues, pop, soul, alternative rock and many more come together like a family of well-rounded, experienced musical thoughts wanting to tell stories to any who will listen. Here is the write up of the conversation Sukh and I had. James West: Where does the musical journey of Sukh begin? 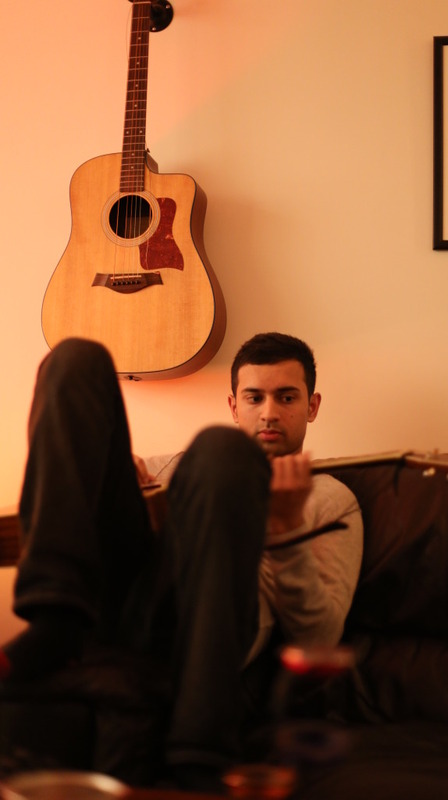 Sukh: It all began when I was about 16 when I decided to make a soundtrack. Looking back it probably wasn’t very good but I guess it struck a chord in me (forgive the pun). I loved making music. I then transitioned onto writing songs and used to spend hours on the piano coming up with ideas. I taught myself guitar, mainly because it was easier to carry around and played at a lot of open mics. Fast forward to now and I’ve made two albums and feel like I’m just getting started. James: Who are some musicians you take inspiration/motivation from? Sukh: I take a lot of inspiration from people like Dylan, Leonard Cohen, and songwriters from that era. There is a timeless poetry in what they wrote and still write which i admire. I do listen to a lot of film music too and to artists like Luke Howard, Milo Greene, Joe Hisaishi, and Phoenix. James: What inspires your music? Sukh: Inspiration often comes from what I read, reflections from my life, my job and the people around me. People above all fascinate me. James: So many elements are in your music, what genre do you consider yourself to be in? Sukh: I consider myself to be singer-songwriter. I incorporate folk, blues, pop, storytelling elements and am happy to always try new things. a lot of artists have an iterative approach where with each album or project they refine and refine their sound. I’m more interested in trying something different with each new project and using fresh inspiration. This might mean a different sonic palate or a different type of songwriting. I think i would get bored if i keep making the same thing again and again. Being flexible like that is one of the perks of being a solo artist. The last album “Kings” has a different sound to the new one “Heading East”. Heading East is more orchestral, more intimate, more lyrical and my vocals are more exposed. James: How many songs have you written? Sukh: Since I started writing songs I have written probably over a hundred songs but very few of them I consider complete. There’s a lot of discarded ideas in what i call the bank. Sometimes they reappear in a new form and sometimes they do not. Until I record a song I wouldn’t consider it complete. Even then I still change things when I play live. James: Can you tell me about your plans for this coming year? Tours? New Music? 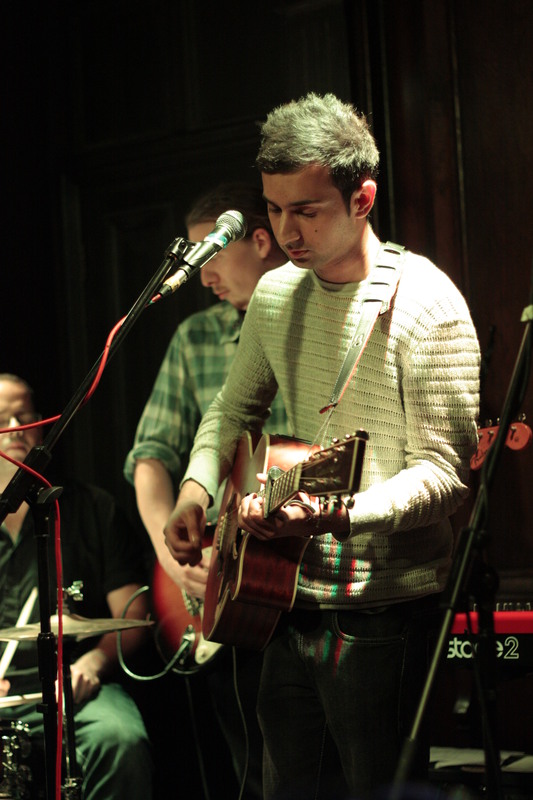 Sukh: My single “For the Road” is out on 27th April 15 and the album will be out later in the year. I’m having a launch gig at Ronnie Scotts on 21st April which I’m really looking forward to and also am playing at Kendal Calling this year thanks to the guys at Riot Jazz. That will be my first major festival which is rather exciting. James: What is the message behind your music? Sukh: I don’t know if there is an overarching message. Each album has different themes. Heading East is a tale of two people’s lives that are inextricably intertwined. It’s about love in the truest of senses. I try to be honest in what I write and I hope that comes across. James: Is there any advice you would give to someone who wants to create music? Sukh: I guess the first question i would ask someone who wants to make music is “Why?” If you’re seeking fame and the pop star factor I would stop to think. I do what I do because I love it. If I become a star in the eyes of the world its a bonus but that’s it. Creating music or any art for that matter has to be congruent with who you are at the time of writing. I don’t make songs for the purpose of selling them. There are many types of music and many different artists but I would urge you to write what you want to write and keep writing. I cut so much material because it’s good but not special and I think that’s helpful in the long run. Set the bar high. James: If you could write a song with anyone in the world who would it be and why? 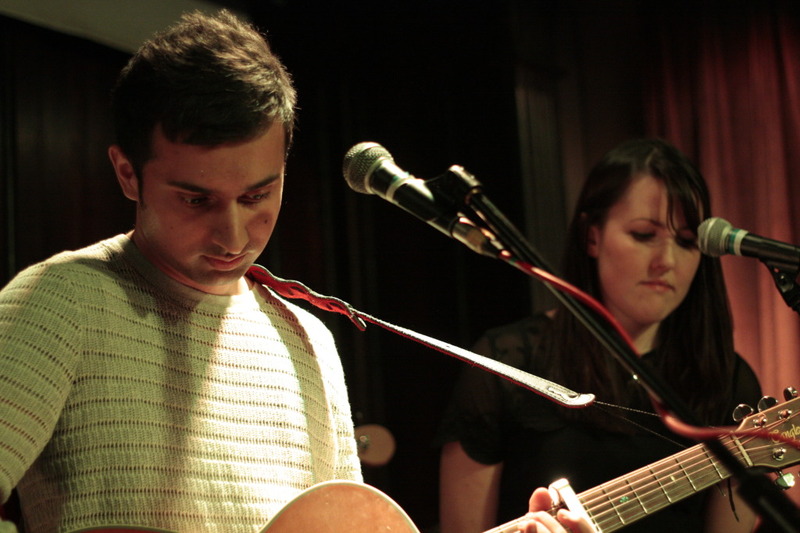 Sukh: That’s tricky as i doubt i would want to write a song with many of the people I admire. I think its nicer keeping the people you revere at a distance. That being said I would love to write a song with First Aid Kit as I love their harmonies and storytelling. James: Speaking to the readers of this article, what would you like to say to them? Sukh: Thanks for reading! If you want to check out more about me feel free to visit my website www.iamsukh.com or add me on twitter @sukhsmusic. There’s a really funny study involving dancing showing that the first few followers of a movement are the ones that make the movement a success and not the originator. If you genuinely like my stuff add me My next gig is in London at Ronnie Scotts on 21st April. James: Thanks for answering my questions Sukh, is there anything you would like say as parting words or shout outs? Sukh: Thanks James for the questions. No need for parting words. Just for hellos. Certainly a lot to take in from just one man and his guitar. Sukh has many more stories to tell and positive vibes to share in his music. What comes out of music is what we feel and are motivated to apply to our own lives. 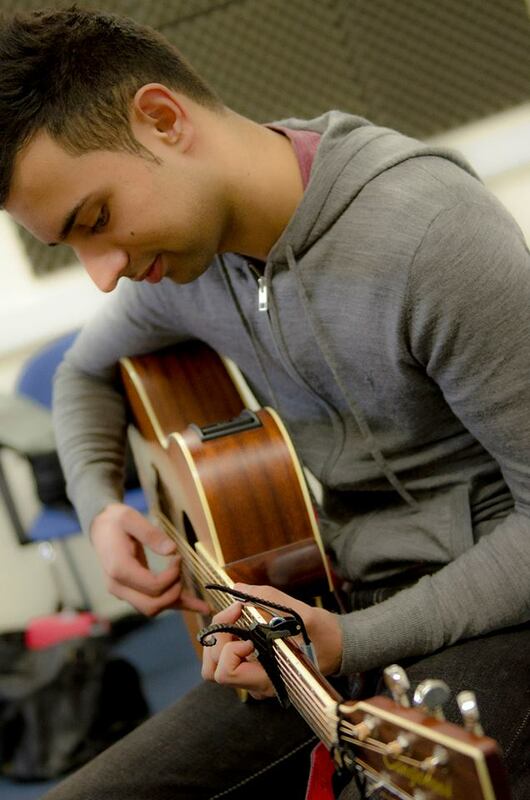 Sukh’s music is an outlet all should welcome into life and music playlists of all sorts. Welcomes are in order for Sukh as he is now a part of the Contrast Control Family that is ever growing and diverse in its own right. Be on the lookout for more features from Sukh here at CC, and here is to the next article. Contrast, Control, Feature, Folk, Interview, James, Music, Parting, Sukh, West, Words. Bookmark.